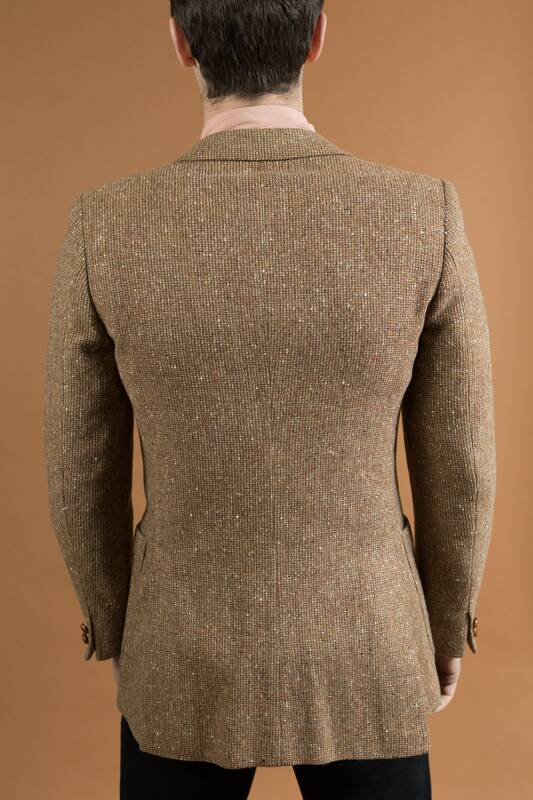 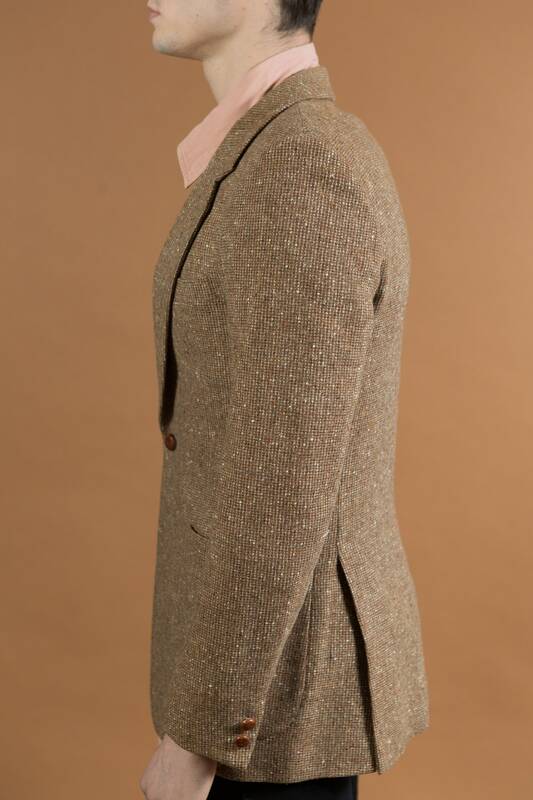 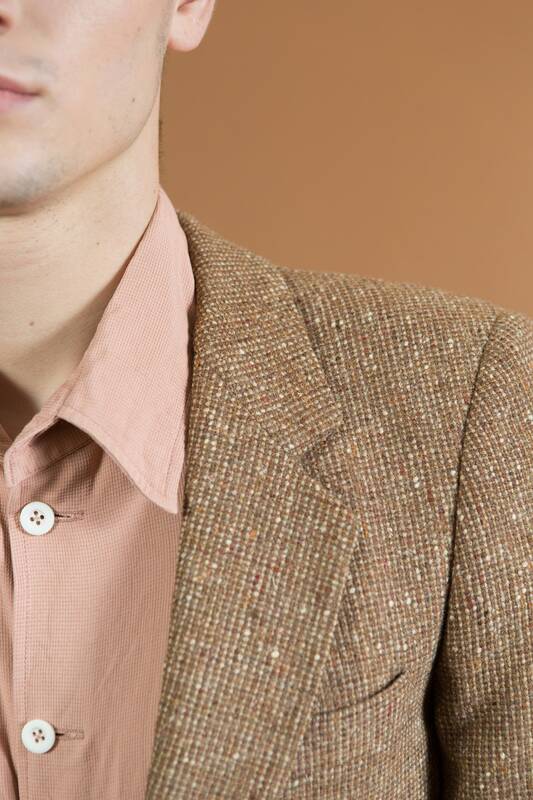 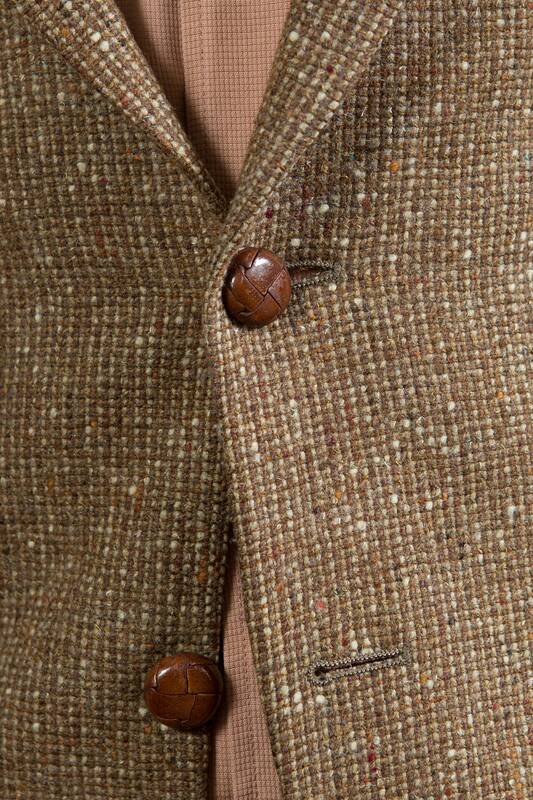 Fix up look sharp in this vintage YSL brown tweed blazer. 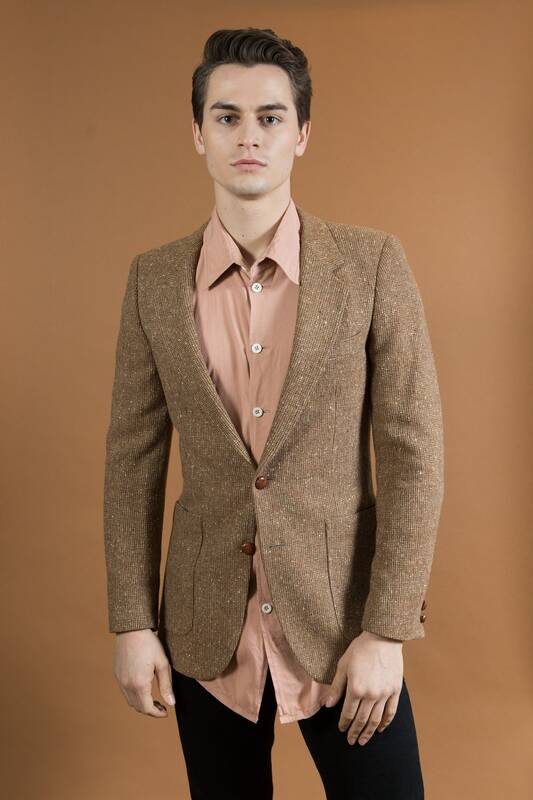 Fits Like: fitted men's small. 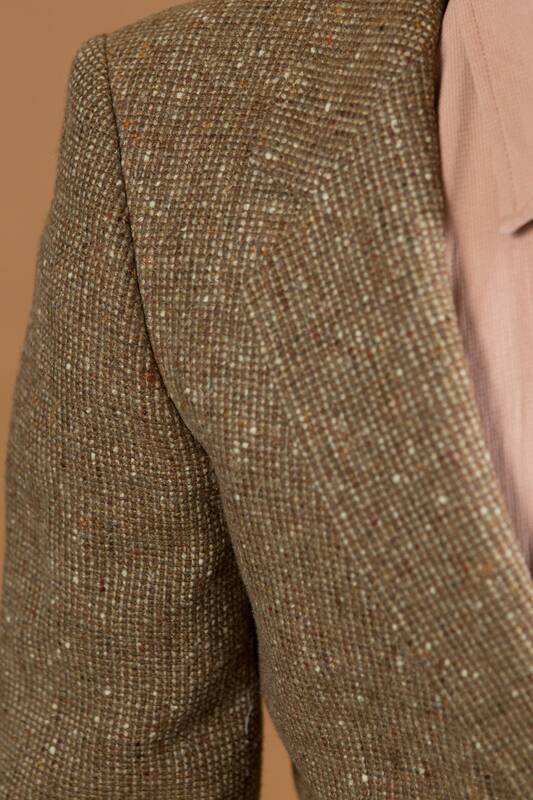 Sleeve length (top shoulder seam to cuff): 25.5"